The PS4 received new update (3.0) that brings several new features to users, and one of them is streaming gameplay directly from PS4 to YouTube, in addition to Ustream and Twitch. We prepared a tutorial for you to live stream your gameplay to the Google video website. 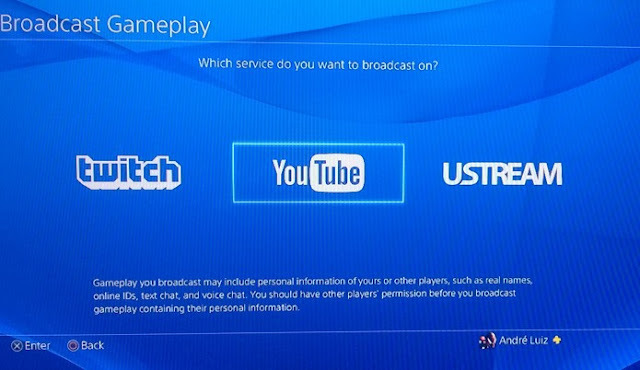 When it was announced the PlayStation 4 had among its functions support for Twitch and Ustream to stream gameplay directly from the console. So far, only these two sites were available for sending live video. 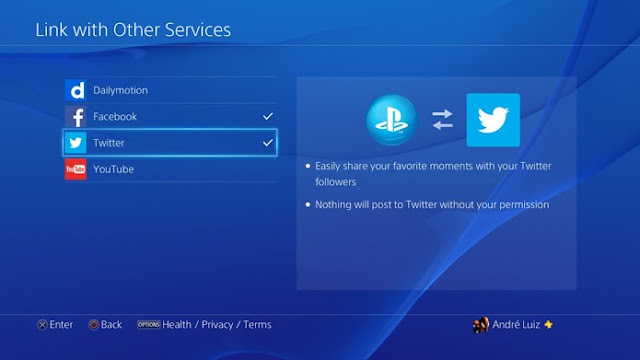 - Post link on social networks (previously linked to your console). Remember that the quality of transmission depends on the internet upload speed. If your connection is low, the use of medium setting is advisable to transmit the gameplay quality 360p on YouTube. With everything ready, just select "Start Broadcasting" and show your gameplay to the world.